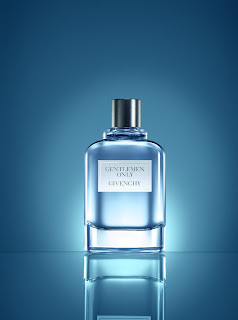 Recently, the house of Givenchy introduced its Gentlemen Only fragrance, a modern interpretation of the classic fragrance Gentleman from 1974. The face of the perfume is Australian actor Simon Baker. "Gentlemen Only is another opportunity to solidify our position in the men's fragrance category. Simon personifies the ideal gentleman and his high level of awareness is a perfect fit for the U.S. market," said Nicholas Munafo, president of LVMH fragrance brands for the U.S.
Givenchy's Gentlemen Only fragrance will be released in April. Available as 50 ml ($59-€59,50) and 100 ml ($78-€81,50) Eau de Toilette. Directed by Peter Lindbergh, TV ads will air globally starting this month.